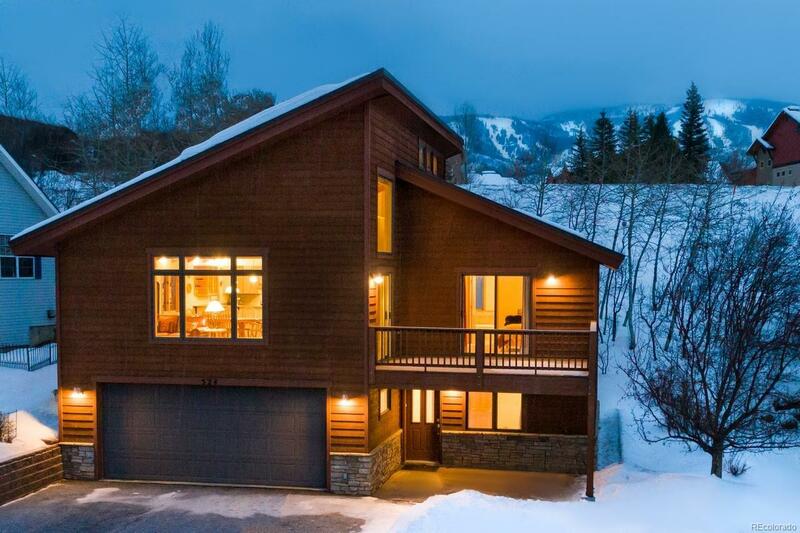 A clean, well-maintained single family home in the heart of Steamboat with room for toys, sunshine, and gorgeous sunset views! Located along Sandhill Circle between downtown and the mountain, this over 2,000 SF 3+ BD home rests along a hillside with views spanning across Emerald Mountain, Howelsen Hill, and westerly sunsets â just minutes to downtown, trails and schools. Owners will enjoy an open floor plan of convenient main level living and in floor heat. The kitchen, featuring granite countertops & new stainless appliances, opens to a dining and living room with vaulted ceilings, large picture windows, lofted office with ski area views, and a cozy gas fireplace to create a comfortable great room setting. Front deck and back decks accessed from the kitchen, living room, and bright main level master are ideal for outdoor entertainment and viewing holiday firework shows. Downstairs, owners will enjoy two private guest bedrooms. Oversized two car garage. No HOA fees.